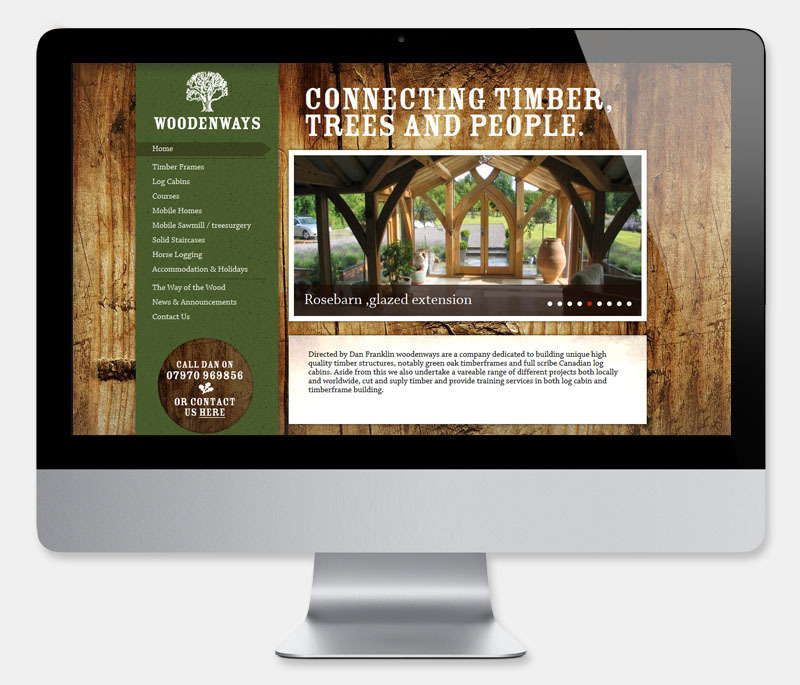 Directed by Dan Franklin, Woodenways are a company dedicated to building unique, high quality timber structures, notably green oak timberframes and full scribe Canadian log cabins. Aside from this they also undertake a range of projects both locally and worldwide. They also cut and supply timber and provide training services in both log cabin and timberframe building. A chance meeting in our local community led to a new client relationship. The client required a more effective website to promote their fantastic range of bespoke carpentry and we were happy to oblige! When dealing with these beautiful artisan products an aesthetically pleasing site was deemed absolutely essential. Working with the client, we created some great designs, which included a range of requested features. Including: Individually configurable news and events widgets, portfolio, services and course pages, case studies, and multiple galleries and slide shows.